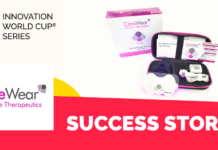 THE BEST TECH START-UPS OF 2018! 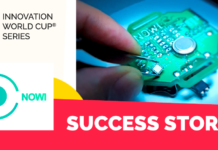 These TECH START-UPS chosen by an international jury of experts shook the audience of the start-up innovation summit of Germany, StartupCon 2018, with their exceptional ideas on September 18th 2018. 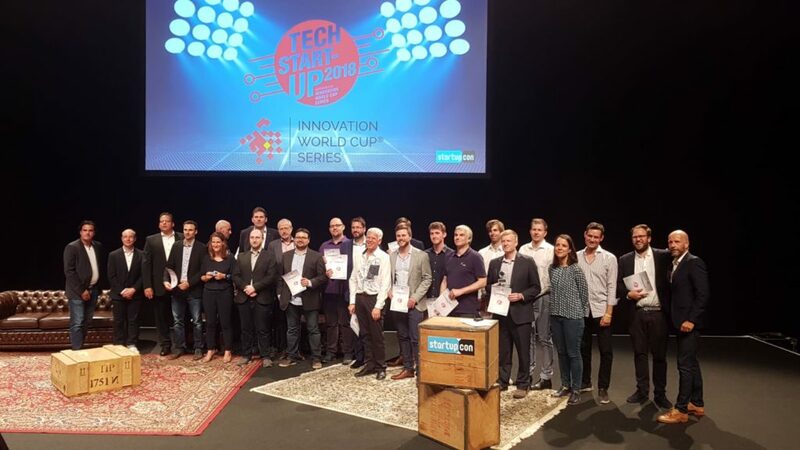 The TECH START-UP 2018 Pitch & Award Ceremony powered by StartupCon and Innovation World Cup® Series brought 19 finalists to the StartupCon main stage for one reason! To reveal the thriving products and services brought to us by committed techpreneurs of the future! 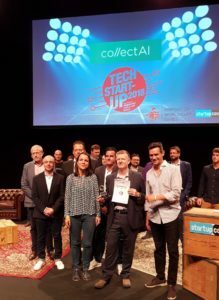 In the end, collectAI convinced the jury and public of their AI-based payments and collection services to manage account receivables, and won the “THE TECH START-UP 2018 WINNER” Award! They cover the end-to-end process from e-invoicing and dunning to debt collection which helps clients to balance between collection rates, costs and customer retention. 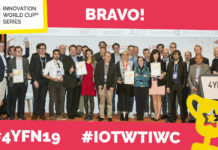 Together with collectAi, Uniberry GmbH and LORIOT made it to the top 3. 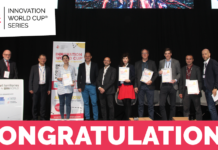 Congratulations for all the finalists of the TECH START-UP 2018 and a big thank you to our jury members and supporting partners EBV Elektronik & Würth Elektronik who joined us at the event! 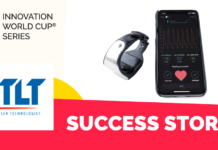 To continue on the path of enabling collaboration between techpreneurs and market leaders, and making tech innovations visible, StartupCon and Innovation World Cup® Series welcome start-ups to join the running TECH START-UP 2019! More revolutionary ideas will be presented next year! Stay tuned!